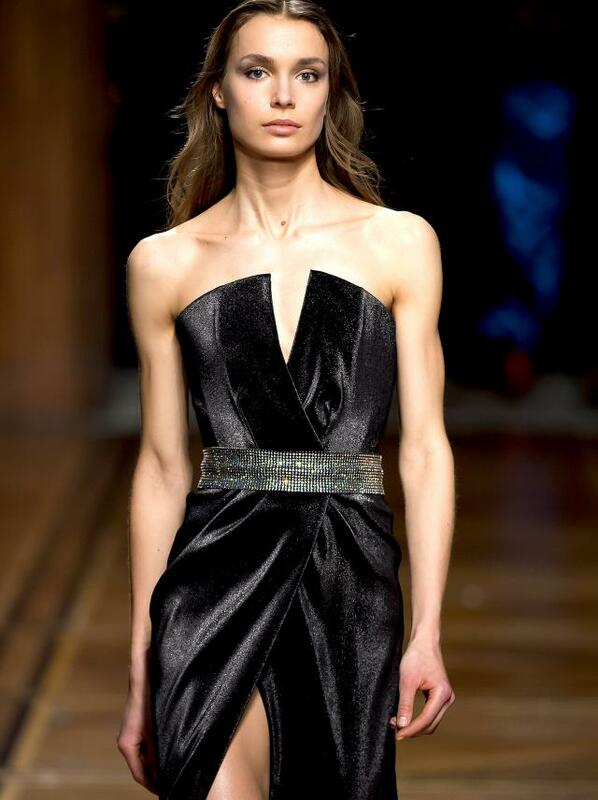 Corseted wrap dress made of black silk lurex with a plunging v neckline and a high center slit with pleats. The dress has a silver Swarovski studded belt. Morbi leo risus, porta ac consectetur ac, vestibulum at eros. Donec sed odio dui. Etiam porta sem malesuada magna mollis euismod. Integer posuere erat a ante venenatis dapibus posuere velit aliquet. Maecenas faucibus mollis interdum. Fusce dapibus, tellus ac cursus commodo, tortor mauris condimentum nibh, ut fermentum massa justo sit amet risus. Curabitur blandit tempus porttitor.